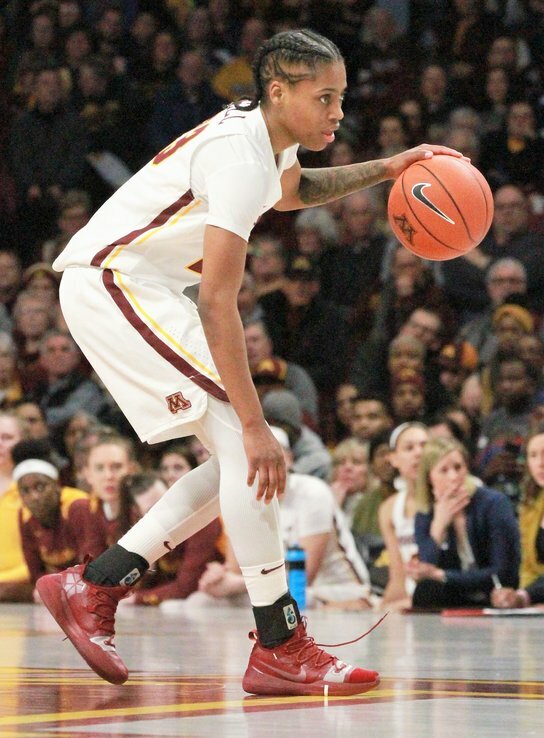 She had 15 in a 66-58 loss to Indiana in the opening round of the Big Ten Tournament. Bell definitely had one of the most distinguished careers in Gophers history. Paris Johnson:The 6’4” sophomore forward averaged 15.6 points per game for St. Louis Park this season. He scored 22 points in an 87-63 Section 6AAAA semifinal victory over Minneapolis South. Jaylen Blakley:The 5’8” junior point guard scored 27 points in a Section 6AAAA loss to St. Louis Park. He averaged 11.5 points per game during the regular season. Eli Campbell:The 6’1” senior shooting guard was recently named Minneapolis City Conference Player of the Year after averaging 18.9 points per game and leading Minneapolis North to the conference championship. Nia Hollie:The 6’0” guard recently finished her junior regular season at Michigan State University. Hollie was the state’s Ms. Basketball in 2016 after leading Hopkins to the Class AAAA state championship game and earning All-Conference, All-Metro and All-State honors.